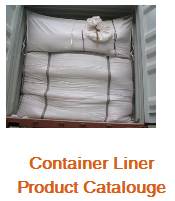 Our business unit tops the rank chart of leading manufacturers, suppliers and exporters of Container Bags, Industrial Bags, Big Bags, Container Liner Bags, Flexible Container Liner Inlets, Bulk Bags, Bulk Container Liners, Slings & Sling Baskets, etc., and many more products. Finest quality fiber is used for making our entire collection as per international norms. 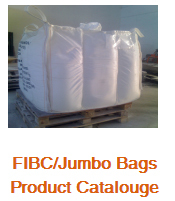 All our products are offered to clients in an ambit of color shades, thicknesses and sizes so as to meet their demands. Tear resistance, fine finishing and colorfastness make our products widely demanded across the world. Moreover, clarity in dealings, economical rates and patron based policies have enabled us to muster a long list of loyal customers.